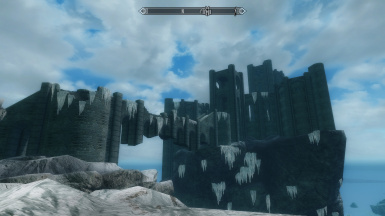 The BethesdaNet winter-themed Feathered Mod. 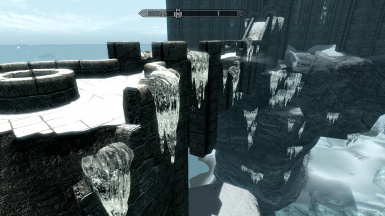 Fixed Dawnguard Glacial Crevice icicles. 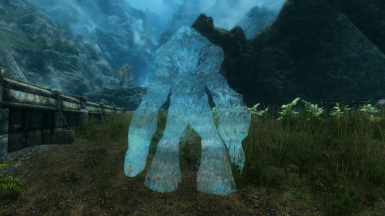 Added 3 transparent option for Frost Atronach and DG Ancient Frost Atronach. 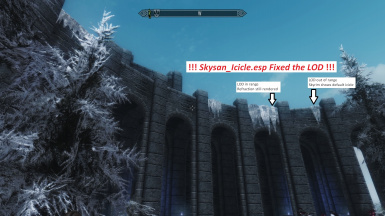 Thank you for taking time to download and endorsing this mod. 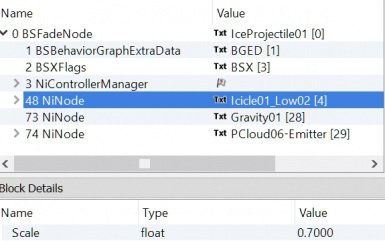 Also, thanks for your endorsing that made this to the top files. 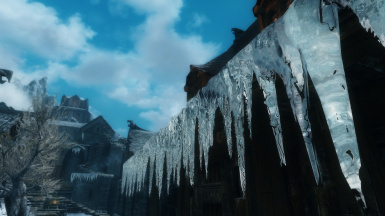 Outdoor icicles such as the Windhelm roof icicle. 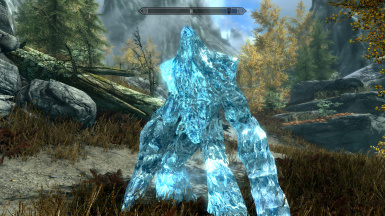 Frost Atronach and Ice Wraith. 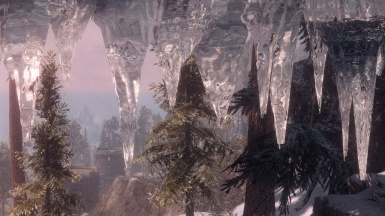 Dawnguard outdoor icicles are supported. 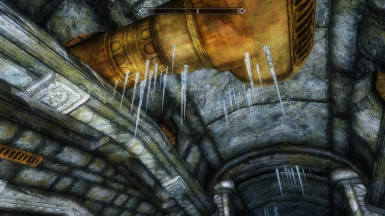 Dawnguard Inner Sactum frozen charus and falmer figures. 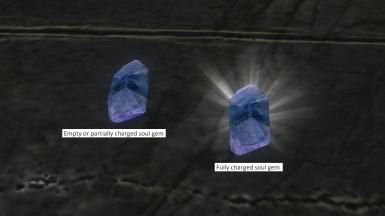 Soul Gems with halo on full gems. 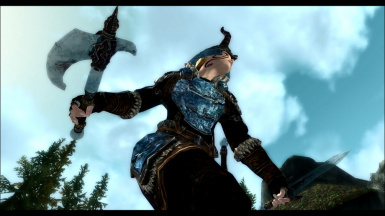 Special thanks to Crypton and Yuril for their awesome textures. 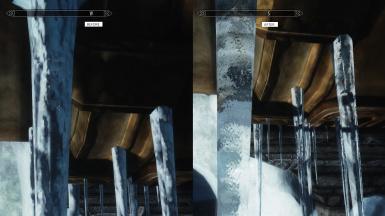 By combining IOS detail/parallax textures with RI normal texture showed the glacier with the snow covered from afar and the ice skinned look when near. 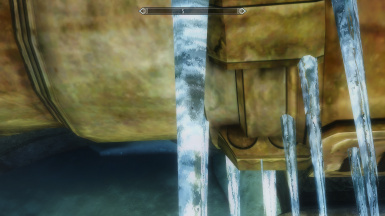 Skyrim SE no longer had the torch disappearing to the refracting object issue. 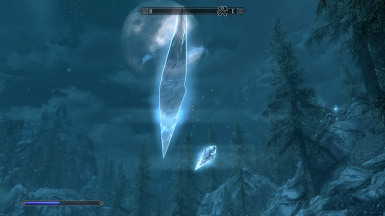 The torch patch no longer needed.